Adver-what? Advergames. Quite simply, they are games designed to advertise a product, organization, or idea. Frequently such games are one of the major sources of traffic to a brand’s website. They not only draw in hooked users who play the game themselves, but also encourage users to invite their friends to play (can you say word of mouth marketing?) In addition to drawing traffic, such advergames seek to promote a positive image of the brand by associating it with doing something fun (playing a game). One obvious target for such games are none other than kids. As discussed in the previously mentioned film, “Consuming Kids,” such games have a negative effect on children not only by exposing them to product placement, but also by limiting the amount of free, unstructured, creative play they engage in. When a child sits in front of a computer screen playing a pre-constructed virtual game with pre-created characters and plot lines, there is no creativity involved. Instead of creating their own world and characters, kids are essentially being told that their imagination isn’t good enough. Well, what about the games where you get to pick a character, add a name, or create your own virtual world? While that offers more in the way of user choice, let’s face it, you are still picking from a pre-determined set of choices. Wondering what an advergame would look like? Let’s look at an example. Remember a while back when your Facebook news feed was clogged with updates about how many sheep your friends had on Farmville? I’m sure you do. Well, now, the wonderful folks at Zynga games have introduced a brand new game, Cityville! 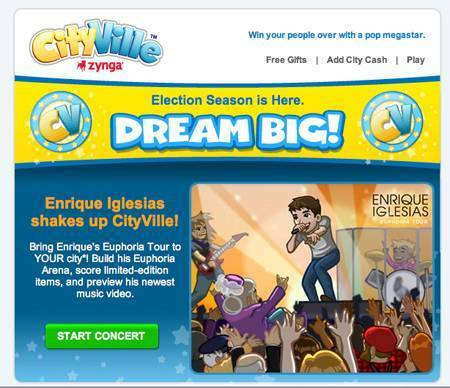 However, Cityville has a twist….you can play as Enrique Iglesias! Now let’s take a look at this. Definitely looks like murketing to me. It appears as if the purpose of the game is to create a fictional city, and get Enrique to perform in your city as part of his Euphoria tour (only after you build his Euphoria Arena of course!) Seems to me like a nice little plug for Enrique as an artist, his current Euphoria tour, and his new music video (which the game allows you to preview). That means the game is targeting three different revenue sources for Enrique- CD sales, ticket sales, and music video downloads. I would also like to point out that the font spelling “Enrique Iglesias” in the top right corner of the cartoon is the exact same font and color scheme as on his latest record (not like I have it or anything). Seems to me like some subtle priming right there. What do you think? 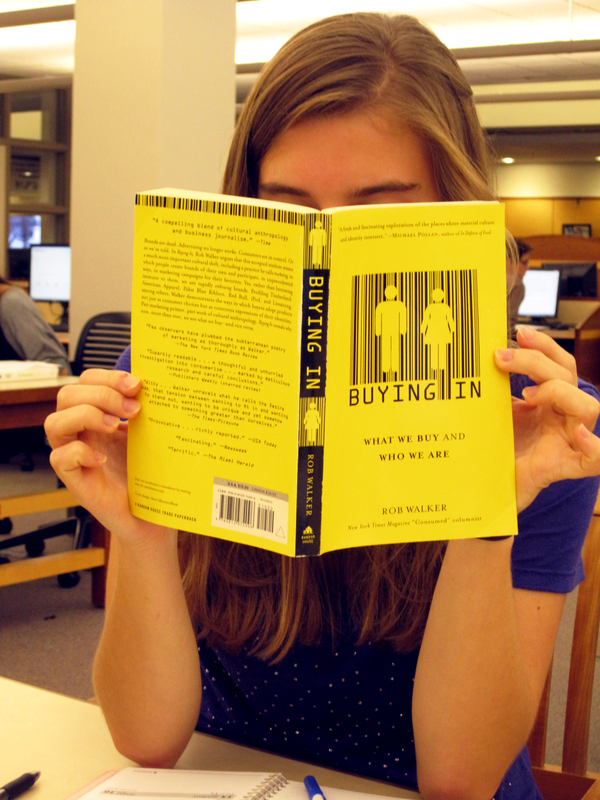 Murketing or harmless entertainment? Oh, and perhaps even more importantly, does anyone actually think the animated Enrique resembles the real Enrique in the slightest?! We’re saturated with advertisements: on your television, on your computer, in your Facebook newsfeed and on your commute to work. In today’s world, these overt ads only make up a small fraction of the pervasive persuasion that ad agencies and corporations engage in on a daily basis to get your hard-earned dollar. But what about the rest of those corporations advertising budgets? That’s what we’re concerned with. And that’s only half the story. The other half is in the hands of us consumers who can recognize brand logos faster than we can name the 15th president (It’s James Buchanan, by the way). We’re here to uncover those times when you didn’t even know you were being marketed to. We’re here to discuss the ways in which our world has shaped us as ready consumers, not more immune to advertising, simply more attuned to hear its message. And if you think you’re above the marketing fray, just try your hand at this quiz and compare it with your scores on this quiz. That’s what I thought.